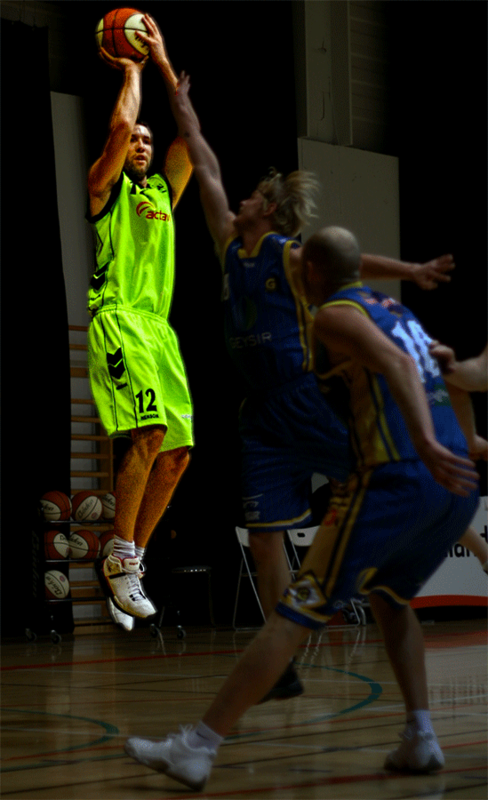 My name is Thomas Viglianco and I played professional basketball for 9 years from my first season in Italy in 2006-2007 till my last season in 2014-2015. I have been blessed with many things in my life and through basketball many things have been made possible. I have always had a passion for helping youth achieve their goals on and off the basketball court. I feel that my knowledge from my basketball experiences can help teach and shape young player’s lives. I am motivated and looking forward to helping your child became both a well rounded basketball player and individual. I have played against and have learned from some of the best players in the world and I know what it takes to become a great basketball player. I am 32 years old and 6’10. I was born in Washington D.C., but call Alabama my first home as my family moved to the South when I was young. My family is very important to me. My parents shaped me into the man I am today with strong values and morals. I started playing basketball in the 3rd grade, as my dad was a college basketball player at Division 1 St. Bonaventure in New York and encouraged me to start playing sports. From my early days of playing, all the way through college I always had the dream to play professional basketball. I attended Bob Jones High School in Madison, Alabama where my game really took off. I was an all-state player and played on many highly touted AAU summer teams that traveled around the country playing against the best players. I was a top 100 player in the country by some scouting services and I was fortunate to attend the Adidas ABCD camp in New Jersey for the top 200 players in the nation my junior summer in high school. After being offered by 20+ Division 1 colleges, I decided to sign a full scholarship with Division 1 Mid-Major, William and Mary in Virginia. The two main reasons I signed there were for academics and basketball. As I previously stated, basketball is only one part of my life. Education and life off the court have always been important to me. I was top 10% in my high school class and always knew that books came before ball. I attended William and Mary for two years and eventually transferred to another Division 1 program because that was my best opportunity to chase my professional basketball dream. Transferring was one of the toughest decisions of my young adult life but, it made me a stronger person and I continued to have a successful career on and off the court at a new D-1 college Birmingham Southern. I graduated in 2006 with a business degree from this institution and ended my college basketball career. I was fortunate enough to sign with a sports agent following college. After college I started my professional basketball career. It was a crazy, exciting, challenging nine years both in basketball and on a personal level. I have been blessed to play professionally in Italy, France, Denmark, Iceland and Ireland over the nine years. From playing in the top league in Italy to living/playing on the beach in the south of France, I have played against and have learned from some of the best players in the world and I know what it takes to become a great basketball player. You are probably wondering how I ended up in Nebraska from Alabama. After my first season of pro basketball I moved to Lincoln, NE during the summer of 2007. My best friend from Alabama lived in Lincoln at the time and wanted me to come out and live with him for the summer. I told him I would, but needed a gym and some type of summer job to keep busy. I was fortunate enough to land a job with a brokerage firm and the rest is history. Nebraska is now my second home and I truly love it here! Being 6’10 has never limited me to one position. I actually grew up playing point guard and shooting forward so I feel that I have knowledge at all positions on the court. My biggest strength and what I get paid to do professionally is shoot 3′s and rebound so that should tell you what type of player I am! I think there is potential in Nebraska for basketball to be the next big sport behind football but there needs to be a greater emphasis on teaching kids the right skills and the right work ethic. Many coaches or private lessons guarantee your child will learn NBA type moves and how to dribble behind your back 5 times before you shoot. I can teach those type of things but I am more interested in teaching your child how to become a well rounded basketball player with the right skills needed to become a better middle school, high school and hopefully college basketball player. I currently train players in Lincoln and Omaha. In the short few months from August-November 2013 before I left for Europe, I created VigliancoHoops & had almost 20-30 clients from around the State of Nebraska in just a short time. As of May 2018, I now have over 150+ clients (college,high school, middle school players) from around the state of Nebraska & have worked with several HS teams as well. I’ve had 30+ clients sign college scholarships in the past 4 years! I am looking forward to teaching your child and sharing with him/her all the knowledge I have gained the past 20+ years of my basketball life. If you are in the Nebraska area or surrounding states, please feel free to contact me via my Contact Me section on the top right tab at the top of this page.